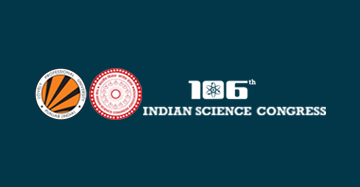 The Children Science Congress is an important event of the Indian Science Congress which is organized to provide a unique opportunity to children of the age group of 10-17 years. The aim of the event is to explore the scientific temperament and knowledge of the students which further helps to fulfil their desire for creativity by conducting scientific experiments. The focus of Children Science Congress is to make the student identify the significant societal problem, work on its causes and try to solve the same by using various scientific processes. The Children’s Science Congress encourages a sense of discovery among the students as it gives courage to the participants to raise a question on different aspects of the progress. The event will consist of invited talks by renowned scientists and various competitions such as science exhibitions, scientific quizzes which will further enhance the intellect of the students. Workshops will also be conducted to give the students a hands on experience. The projects finalized by DST will be showcased and students will have the opportunity to listen and interact with the Young Nobel Laureate. Rashtriya Kishore Vaigyanik Sammelan (Children’s Science Congress-2019), an annual event, has always provided a unique opportunity to the young scientists to showcase their innovative research and at the same time contributes in popularizing science in India. The target group of 10-17 years of children bring a spark to this journey of innovation and research. To provide a unique opportunity to children from all over the country to envision science and stimulate their scientific temperament and knowledge through innovative and creative science related projects by giving them such a unique platform. To provide a forum for children to pursuit their inquisitiveness and inventiveness to appease their desire for creativity. To encourage the children to take-up scientific research on specific issues of their choice under broad themes. To endorse and devise different methods of tools and instruments in the field of agriculture, fertilizers, food processing, biotechnology, green energy, disaster management, information and communication technology, astronomy, transport, games and sports etc., to encourage creativity, innovation and experiential learning (learning by doing) to address various challenges of society. To stimulus the young minds to enhance community feelings and sensitize towards societal needs. To escalate the role of science in meeting the challenges of life such as climate change, water, air and environmental pollution by involving young minds of country. Lovely Professional University 2018. All rights are reserved. Health, Fitness, Sports & Recreation Activities. As an esteemed guest of ours, we are committed to make your visit memorable and exciting worthy. Keeping our wish in view and considering your fitness apropos, we have designed a wide variety of health, sports and recreational activities especially for you. We assure that you will feel more joyful and young after participating in these activities and explore the traditional sports & cultural warmth of Punjab at the same time.